Slovak Wine production has been made Here Ever Since 7th century B.C. making history goes back as far as the 7th century B.C. 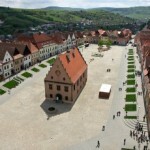 Slovakia lies on the northern fringes of the winemaking world. Its continental climate – hot summers and cold winters – makes it good for producing fruity whites and full-bodied reds. During the days of Austrian-Hungarian rule, nobles prized the white wines produced in the Small Carpathian region, the red wines produced in the southwest, around what is now the Hungarian border, and most of all the sweet wines of the Tokay area, part of which lies in present-day Slovakia. Slovak wine might seem like a new discovery to first-time visitors, but the nation’s wine-making history goes back as far as the 7th century B.C. That’s when Celtic settlers, probably having been tutored in wine-making by the Romans, are first thought to have used the hilly land northeast of Bratislava to grow vines. And wine has been made here ever since. Slovakia lies on the northern fringes of the wine-making world. Its continental climate – hot summers and cold winters – makes it perfect for producing fruity whites and full-bodied reds. During the days of Austro-Hungarian rule, nobles prized the Slovak white wines produced in the Small Carpathian region, the red wines produced in the southwest, around what is now the Hungarian border, and most of all the sweet wines of the Tokay area, part of which lies in present-day Slovakia. 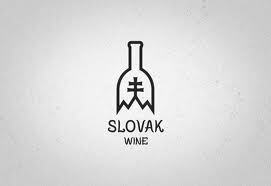 Under Communism, Slovakia produced the republic’s most-highly regarded wines, while the Czechs focused on beer. But the rigours of the 20th century – which saw the fall of the Austro-Hungarian Empire, two world wars, and 40 years of Communism – all but severed 2,700 years of continuous wine-making tradition. By 1989, Slovak vineyards – collectivised and controlled by the state – were churning out loads of cheap, mediocre wine, much of which was sent elsewhere within the Soviet Bloc. The Czechoslovak government so disdained quality wine that it traded away Slovakia’s right to sell its Tokay abroad, in a beer-export deal with Hungary. Since independence in 1993, a small group of winemakers, concentrated in the Small Carpathians and in the Tokay region, have been striving to restore Slovakia’s wine-making heritage. This year, Spectacular Slovakia went in search of them, to drink their wine and hear their stories. This is what we found.